I am constantly striving to live a well-balanced life – education, fitness, hobbies, work, sleep, family, and friends – the whole package! So if you are trying to make this work as a MECH student, please reach out to me at any time for some friendly advice. I also love drinking tea, doing strength training, watching hockey games, and driving to YVR to watch planes takeoff and land. That you will only do well in MECH by truly understanding and applying what you learn in classes. It is not enough to memorize content from your courses. So get involved with student teams, co-op, or take on a side project. It opens the door for me to work on a multitude of fields related to aircraft design. Heck, one day when I pursue my lifelong dream of flying planes, I will even be a smarter pilot because I studied mechanical engineering. How diverse the faculty and students are. There are professors doing research applicable to rocket science, aerodynamics of sports, and even reducing the rate of climate change. You also have students coming from all corners of the world, some with previous degrees and other career backgrounds. You get to interact with these people every day and learn so much in this tight-knit community. 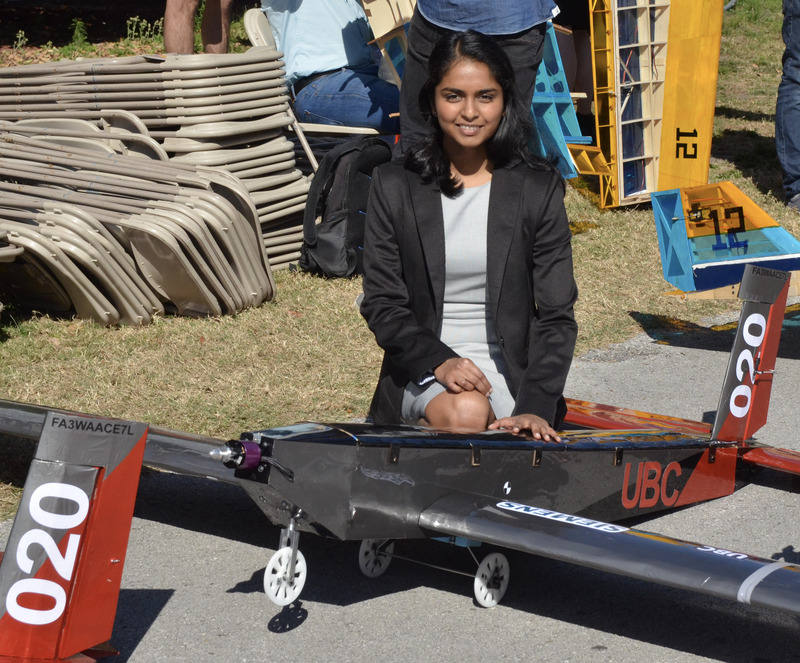 I really enjoyed leading the UBC AeroDesign student design team. I got to work with so many hardworking students who share a passion for learning, design, and aviation. I will never forget the ups and downs during the design cycle, late night building sessions, local test flights, and going to California and Florida for the SAE competitions. It was also a very proud moment when we won three awards and ranked in the third place overall at the 2017 competition.